This week’s Surname Saturday themed post covers my paternal Barker family, who I’ve traced back to a village in the county of Hertfordshire, England. Today’s Surname Saturday themed post crosses the border into Hertfordshire, and visits a small village where my Barker ancestors lived. My progress in researching the family history of my Barker family is somewhat incomplete. Of course, a family tree is never really complete, but what I mean to say is that it is not very well documented. This will no doubt be down to the fact that researching Hertfordshire is not as convenient for me as Cambridgeshire, and also because I have stumbled across name duplication from different family groups. It’s been more of a ‘i’ll come back to this puzzle later‘ approach. That’s probably why blogging about it here today is actually a good thing – as I do get messages from distant relatives who have read the blog and find myself getting back on the trail. From what I do know, the most recent Barker in my ancestry was my Great Great Grandmother, Mary Ann Barker, who was born in 1854, in Barkway, Hertfordshire. She was the third of at least nine children of William Barker and Mary Head, who had married in October 1847. In all, it appears that she had 3 brothers, and 5 sisters. William Barker (born around 1823 in Barkway), is noted as a ‘Hay Binder’ at the time of the 1861 census, and his wife Mary is noted similarly as ‘Hay Binder’s Wife’. The rolling countryside around Barkway would no doubt have been great for hay, but by 1880 he had turned his hand to being a carpenter. William is deceased by the time that Mary (his daughter) marries for the second time in 1896. Mary (née Head), his wife, appears to survive until at least 1911, when it looks like she is living alone as a widow at the Clock House in Barkway. Barkway Parish Church would have been very familiar to the Barker family. Note that the only death date I have of Mary’s siblings is for Thomas, her younger brother who died in 1913. He was my Great Great Great Uncle. I only have this information due to a recent connection with distant relative (2nd cousin, twice removed, apparently!) Peter Barker, who is Thomas’ grandson. He kindly sent me the following photo of Thomas – it being the only photograph I have of a Barker relative. Mary’s little brother, Thomas Barker (1866-1913). Image: Peter Barker. 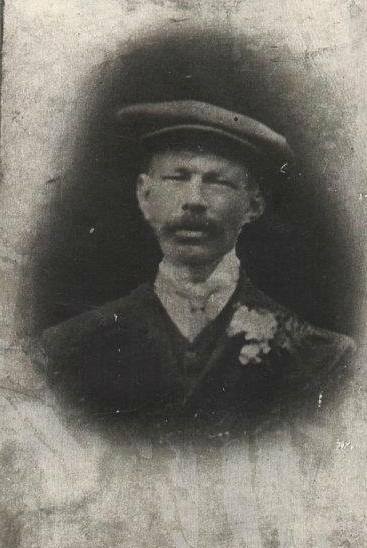 Sadly, Thomas died in July 1913 at London’s Royal Free Hospital when he was in his late 40s, from blood poisoning, which was as a result of his injuries of being run-over by a cart. He was a carman. 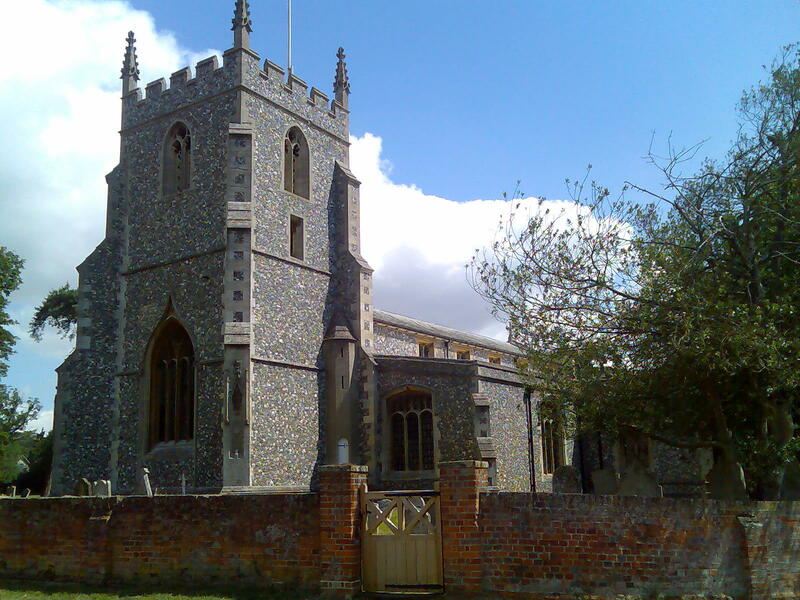 William was baptised at the parish church in Barkway on 16th March 1823. He was the second of at least seven children of Joseph Barker and his wife Esther. It’s worth noting now, that I am uncertain of the identity of Esther, as I have two possible candidates, but the dates are out. Esther #1 may have been ‘Hester Hawks‘ who married Joseph Barker in 1809 – but then there was either a very long pause before marriage and first child (12 years), or there’s 12 year’s worth of children hiding somewhere. Esther #2 may have been ‘Esther Elizabeth Nottage‘ (‘spinster’) who married Joseph Barker (noted as a ‘bachelor’) after the baptism of William (himself, the second child) in November 1823 at nearby Braughing. Were there two illegitimate sons, and a marriage in a different parish to hide the shame? My only slight glimmer, is that on the same day that William went to church to be baptised in March 1823, he was joined on the day by John and Anne Nottage for their son’s baptism (also a William, albeit Nottage). By the time of the 1871 census, Mary Ann becomes a kitchen maid for a wealthy land owner John H Phillips – a Justice of the Peace (JP) for Hertfordshire, and Deputy Lieutenant for Cambridgeshire. He is also noted as farming 400 acres, and employing 19 men and 7 boys. Here, she is one of several staff members, including a Lady’s Maid, a Page, Butler, Nurse and a housemaid. Research by the kind volunteers at Royston and District Museum, brought up several references to John Phillips and his family’s brewery, but none of Mary herself. As a kitchen maid, it was unlikely that she’d be well documented, but it was worth a look in case a photograph might have been lurking. However, what is likely, is that this is where Mary Ann learnt her skills in servitude, and hopefully earned herself a good reputation. The heads of the household may have written her a suitable reference that helped to take her down to London by 1880, where she appears as working in the now famous Abbey Road in St John’s Wood. It was there in London, that she met my Great x 2 Grandfather George Burnell of Somerset, and their lives (and mine) grew into a new branch of the Burnell tree. Check out some great ‘then-and-now’ photos of Barkway from Tom Doig over on the Barkway village website.